Historic Ruan House historic tax credit application draft is complete. Trying to get the River Bend neighborhood some money back for their FABULOUS renovation of a burned-out shell! A couple of my friends thought I was being a bit too harsh in describing the pre-renovation building as a "burned-out shell". I admit to descending into a bit of hyperbole, perhaps inspired by my excitement, with this message. Indeed, the words "burned-out shell" may conjure up an image of charred wood studs poking out from beneath a pile of rubble - the pre-renovation Ruan House was not at that level of destruction. Yet there can be legitimate debate about the terms "burned-out" and "shell". What is the point at which a fire-damaged house becomes burned-out? 25%? 50%? I don't know. My sense is that it relates more to a general feeling about whether or not the interior character of the house remains intact or has been damaged beyond recognition. I apply the term "shell" to buildings that are substantially intact on the outside, yet can no longer server their intended purpose due to neglect or physical damage on the inside. Ruan House (before renovation)The pejorative label "burned-out shell" begs the question, is a building ever too far gone to repair? 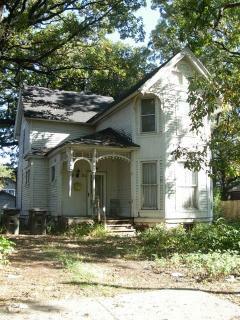 Prior to its complete rehabilitation by the River Bend Neighborhood Association, there is little doubt that this historic home had serious issues. There had been a fire in the attic. The roof damage and ensuing water infiltration damaged much of the interior plaster. The rear addition was structurally deficient, building systems and fixtures were missing or inoperable, the entry stoops were crumbling or missing. Clearly this structure was uninhabitable at the time in terms of both local ordinance and basic human decency. Only those with a healthy understanding of and respect for architectural history would have noted any particular redeeming quality in the physical structure, though it was at one time the residence of a prominent local businessman. In general I have a pretty low threshold for "save-ability" - that is, I know from experience that older buildings (masonry in particular) are relatively resilient when it comes to water infiltration, fire damage, and general neglect. The Ruan house is a prime example of how a building that many people would assume should be demolished can in fact be rehabilitated into a crowning jewel, a prominent entry market into a National Register historic district! Victorian Home in Danger of Demolition: This home is on the City's "Public Nuisance" list and may be demolished if deficiencies are not corrected in a timely manner.The Iowa legislature recently passed a bill more than doubling the Iowa historic rehabilitation tax credit. The program had previously been capped at $20 million; it is now capped at $50 million - 10% of which is dedicated specifically to "small" projects of under $500,000. As a revitalization stimulus and economic engine, historic tax credits are an excellent investment. 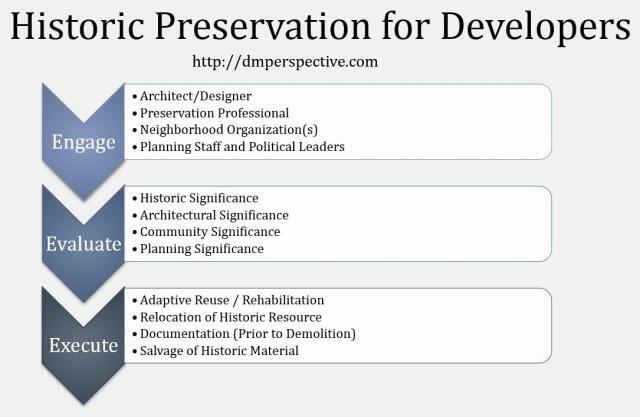 Not only do they leverage significant private capitalized investment, but they also encourage preservation of historic buildings. Because the tax credits are not issued until the project is complete and put "in use", the economic return to the state actually precedes the tax credit payout. Historic tax credits can be used throughout the state in both urban and rural areas. In urban areas, qualifying buildings can be located in a designated historic district, individually nominated, or eligible for nomination. In rural areas and small towns, bridges, barns, and other potentially eligible properties may qualify for the credits. 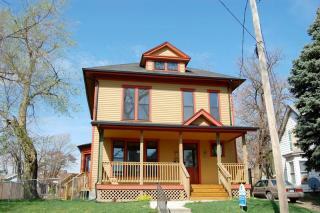 While large rehabilitation projects often steal the limelight, even a privately owned single family home can qualify. With the expanded credit, I look forward to a new professional infrastructure developing to help shepard projects of all sizes through the process: architects, engineers, tax credit consultants, and accountants. The Iowa chapter of the American Planning Association recently honored West Des Moines for its publication of a "pattern book". Pattern Books are locally specific guidebooks detailing appropriate interventions in existing neighborhoods (both renovation and new construction). This particular book is focused on the older areas of West Des Moines. Examples used in the book are the Cape Cod, Ranch, and Split Level home. The 45-page book is available for free on the West Des Moines web site.